When you hear the word ‘gratin,’ what do you think? Cheesy, breadcrumb-laden goodness made of 10% vegetables and 90% butter? Yeah, me too. That’s why my taste buds are usually drawn to this comforting dish but my stomach is turned away. However, I’ve been thinking of a way to vegan-ize gratin while keeping it simple, natural, flavorful, and gluten-free. No easy task, but I think I’ve cracked the code. The magic starts with vegan parmesan cheese. Have you tried it? Dairy-free and vegan friends, if you haven’t you are simply missing out on fairy dust GOLD. Trust me, I have loved parmesan for years. I used to put it on my eggs at breakfast, my soup at lunch, and my potatoes and salads at dinner. Don’t get me started on how much I put on my pizza. I adore its salty, slightly dry goodness on anything and everything, and have a discerning tongue for how it should taste. Considering this, I had low expectations for how this vegan version would perform. This – 4 ingredient wonder bomb – actually tastes like parmesan and acts like it in cooking, too! While it won’t melt into pasta sauces and other hot dishes, it will absolutely toast up and get a nice color. And the most important part, the taste is spot on. If you haven’t tried vegan parm, get some in your life. I adapted this version in this recipe from Veggieful. Go there for a video demo of how to make the stuff. So even if you aren’t vegan or dairy free, you should consider incorporating even a little bit of nutritional yeast into your daily diet. Once you have your parm ready, move onto your veggies. 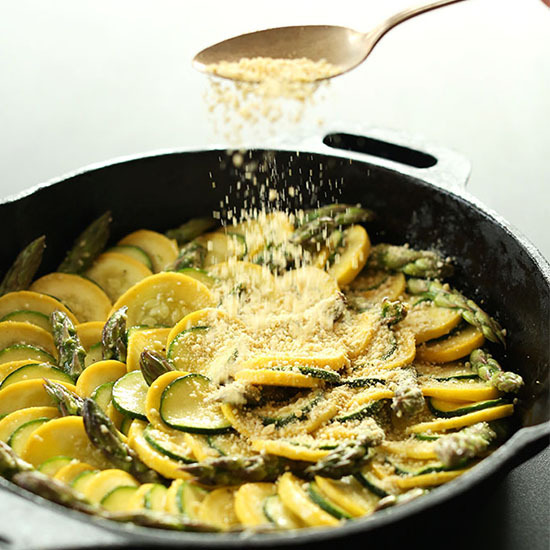 I opted for yellow and zucchini squash as a base and asparagus for accent because it’s just so beautiful (and cheap!) this time of year. Oh asparagus, I could paint you you’re so pretty. The other veggie in the mix is onion, which I sauteed to make a nice savory “crust” or base for the asparagus and zucchini to nestle on. This replaces the need for breadcrumbs, puff pastry or pie crust which some veggie tarts require, keeping things light, natural and veggie-focused just the way my body likes it. Once the onions are sauteed, simply toss your veggies in a bit of olive oil and arrange them in a pretty pattern on top. It doesn’t have to be perfect. In fact, it shouldn’t be. Just put them in a pattern that makes you happy. Then, the fun part. Top that baby with loads of vegan parm. I mean LOADS. Do your thang girl. In my opinion, it’s just what we need to get us past the last of these icky winter days and into warmer weather. Cheers! This is incredible. I don’t even particularly like zucchini, but we had leftover from grilling and I wanted to use it up in an easy recipe. This is the best zucchini I’ve ever had. I will be making again! Made this but with red bell pepper instead of asparagus and ate it over chickpea pasta. Super tasty! Thanks! This is such a delicious satisfying dish! I did not use salt, did not need it because of the carmelized onions and nutritional yeast. I can’t wait to serve this at my Seder! No eggs, no breadcrumbs, perfect! Am lactose intolerant and was looking for a dairy-free recipe for a special dinner. This recipe was delicious! My fellow diners really enjoyed it and just so you know, no one was vegan. Have given it to my friends as well as the minimalist baker website. We’re so glad this recipe worked for you, Beth! Made this for the 5th time or so. So delicious! I use more zucchini and less vegan parm. The parm is so yummy and rich you don’t need as much (but want is another story…). We have this as a main meal, and this time I played with crumbling a block of tofu and scrambling it with a little oil, garlic powder, salt, pepper, paprika and tumeric (ooh, look at me getting all experimental on spices – I’m usually such a recipe follower). I layered the tofu between the zucchini layers (I double this recipe) and Voila! My meat-loving husband didn’t even notice the tofu – looked similar to the vegan parm and he loved it. Thanks so very much for your recipes – I use many of them. Blessings! Great! Thanks for sharing, Julianne! I made this dish tonight because we had too much squash on hand that was quickly approaching its time and the dish was fantastic! Any idea on ways to size it up for a large Thanksgiving side dish? We used our cast iron 10 inch pan for dinner but that won’t suffice for the 15 people we have over for Thanksgiving. Do you think a casserole dish would work? Also we used store bought parm with a little additional nooch and it still turned out great! We are so glad you are loving the site, Rex! I bought some beautiful crook neck squash at a local farm. I left out the asparagus and added some farm fresh bell pepper. I’m going to have to go back because I am totally addicted to this recipe. Tender flavorful veggies with amazing topping. So simple and incredibly delicious. I made it today and it was WONDERFUL!! Just perfect !! I loved the combination. Served it with quinoa. Yay! We’re so glad to hear that, Efrat! I don’t know what I was expecting when I made this but I took a leap a faith and made it as a side on the 4th for us and some friends. Oh my goodness, it was so good! My friend’s meat loving and onion hating husband had two helpings. ? It was light, while also being cheesy and satisfying. I’ve already recommended it to a few friends and can’t wait to make it again! Yay! We are so happy you and your family enjoyed it, Heather! This dish was delish! I was skeptical at first because I didn’t think I liked the taste of the “cheese” by pinch test. Man was I wrong . It reminded us so much of Parmesan after putting it in the dish. At my husband’s request I added a can of rotel on top and the end, just because we love that stuff. I ate one serving and my hubby devoured the rest in one sitting ! We have been pescatarian for 3 years and just decided to delete dairy and hopefully fish . This will be a go to. So easy . I wish I could take a picture of the empty pot with not a crumb left. Thanks so much ! I will be looking all over this site for other recipes . Loved the “parmesan cheese!” Easy and tasty recipe. I am so excited to taste the food, I always forget to take a pic! I will definitely make this again. Thanks for great recipes and keeping my husband happy without steak. I brought this to our family Easter dinner. The only change I made was I added a little lemon zest. I didn’t tell anyone it was vegan parmesan. Everyone loved it. I am on the beginning of my path to plant based and tend to get push back and this was a WIN!! Thank you for all your hard work on this recipe. Your web site is a huge help for me. Delicious! I used crimini mushrooms instead of asparagus and threw it in the pan, not so pretty, but super tasty! I was pleasantly surprised at how good the vegan parm was! Where on earth is all that sodium coming from, if this dish only has a “pinch” of salt?? Your recipes are usable even for white-trash, living in the middle of nowhere vegan-wanna-be’s like me. Thank you. Looks in my fridge, finds five ingredients, looks on your site and finds one using three. ;P *left out the fancy-pants asparagus and subbed some zucchini*. Thanks, Dana! This is my favorite website for vegan and gluten free recipes. I have tried many of recipes, some I have adopted for good! I don’t always rate but I want to say Congratulations, you are an expert! Hello! I’ve been looking for a vegan cheese recipe, and this looks great… But I’m allergic to cashews and other tree nuts. Is there a way to make this with peanuts/no nuts?? This was so good. We’re not vegan so I used real grated Parmesan. I would definitely make this again. This is so ridiculously good. I know it’s meant for a summer dish, but I’m making it for Thanksgiving next week, and I did a test run of it today to see how it would turn out. I almost ate it all with my fingers right out of the oven… This is amazing. I made a double batch of this last year for Thanksgiving and baked it in a 9×13 pan. It was outstanding, beautiful, and enjoyed by everyone! So rich and delicious and healthful at the same time! I gave away my printed copy to a guest so I came looking to reprint. So sad that I haven’t made this in almost a year! It’s been haunting my dreams lol! This Thanksgiving it will be a quadruple batch. This was just BEYOND! I could honestly live off of this dish. I have used purple cauliflower instead of the asparagus and it has been equally as good. Is also a huge hit with my non-vegan friends who continue to request this dish when have dinners together! This was AMAZING! Huge hit with my non vegan family! I’m out of asparagus. Any suggestions for a substitute? I have soooo much zucchini, I would so love to try this! It looks yumm-licious! Hi! You could try leeks or broccoli! OMG in so many ways!!! Who knew aspa ANd squash went so well together?! And the parm cheese recipe is delicious!!! Skipped the strp where you toss veg with cheese. I just dumped it all on top and it turned out well. This was so good, even better than I expected, the vegan Parm is amazing and will definitely be using in other recipes! I subbed green beans for asparagus because that is what I had, and used onion powder for the onion, and added some breadcrumbs… my whole family loved it! 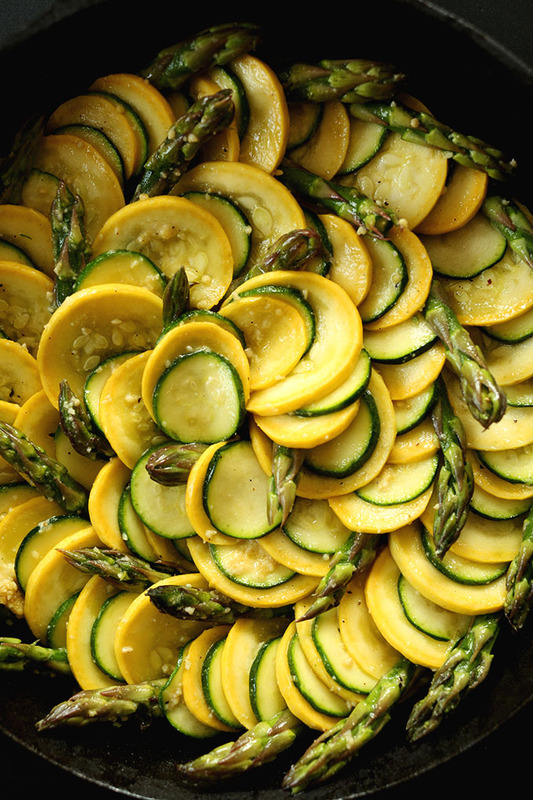 It’s a great way to use up summer zucchini! We’re not vegan but when i made this dish it vanished in a second. If you have not tried it, now is a great time. I’m about to make it again tonight. This recipe is totally amazing! My husband and I absolutely loved it! Such a small number of ingredients but such a huge amount of flavor. Thank you for this recipe…it has quickly become a favorite go to lunch for us. I love this recipe, it’s very simple and full of flavor. This recipe goes great paired with quinoa. I like mixing the quinoa in with the veggies. As quinoa can be a little plain, mixing it together gave the quinoa a lot flavor! recipe and the best part was that it was simple to make. I love you and thank you for your recipes. I have made this sevsral times, love it! I however have used mushrooms instead of the asparagus. Since my husband is not vegan and has had issues with cashews, I jyst use the nutritional yeast and put the “parm” on my servings. This dish was incredible. I am new to cooking and only cook plant-based, usually vegan. My partner is a super picky eater and not at all interested in most of what I make. So, I make these dishes as alternatives and try to see if he will eat them. He loved this! But, he only got one serving because I ate the rest! This stuff is delicious. I did not use onions because they make me sick. So, I used a very small amount of shallots. 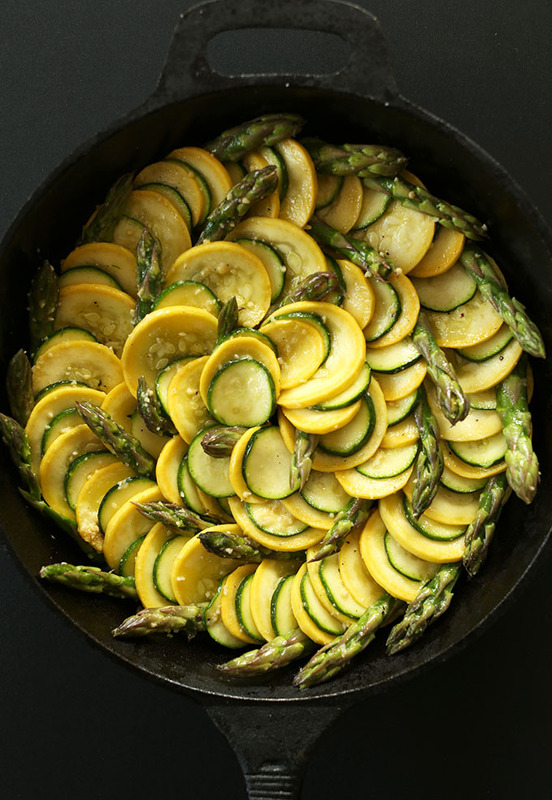 My kids and I devoured the whole pan in literally under 10 minutes…and I packed in more squash and asparagus than was called for, lol. The vegan parm is one of my new favorite things. It could go on anything. Yup, this recipe rocks. Super easy and delicious! I didn’t have any asparagus but it was so tasty with just the green and yellow squash. I’m definitely going to be bringing this recipe to my next potluck and impressing all my friends!! I’ve made this several times and have many non-vegans rave about it. I sometimes substitute sliced brussels sprouts in place of asparagus. It gives an amazing buttery texture. This was really flavorful and creamy. I paired it with brown rice and garbanzo beans. Omg! I made this today for lunch minus the asparagus because I forgot to pick them up during my grocery run and it was absolutely amazing. Thank you for sharing this recipe. I just made this Dana and I’ve never appreciated gratin as much as I did this time around. Simply amazing. Thank you for toiling away in the kitchen to inspire the rest of us! This was awesome. Both my omnivore husband and mother-in-law agreed, and my husband is ‘afraid’ of squash, lol. We all loved it and were amazed at how much flavor came from such simple ingredients. It was surprisingly filling too. I will make this again and again. OMG, hot out of oven and smells wonderful. Of course I had a pinch of the parm and it’s delicious!! Didn’t have zucchini or asparagus so substituted all yellow squash with blanched frozen green beans and mini red bell peppers for color. Also used just 1-1/2 tbsp of rosemary infused olive oil and only 6 tbsp of the parm to cut calories and mostly to save more parm for later too! Lol! Thank you again for sharing your work! :-). Would have posted a photo but couldn’t figure how to do it. I made this tonight as I was looking for something else to do with the abundance of squash we have from the garden right now. I subbed a baby eggplant for the zucchini as that is what I had. My husband and I ate the whole skillet-full! He said it’s the best dish I’ve ever made! This will be on the regular rotation for certain and I love that I can sub in different veggies like others did. Thanks! One thing I forget to mention: instead of plain olive oil, I used chile garlic olive oil, which imparted a nice heat with a very subtle wisp of garlic. YUMMY! Lovely! Thanks for sharing, Nina. I an my partner visit your site for recipes frequently and this has to be one of the absolute best we’ve yet tried. Thank you for this. Thank you. I just made this and it was my first experience with vegan Parm. Oh my word, that stuff is delicious! And I baked the dish probably more like 40 or 45 minutes since I love my squash uber soft, so the edges were getting really brown and the tips of the asparagus on the edges got crispy and brown and kind of chewy (not in a bad way). 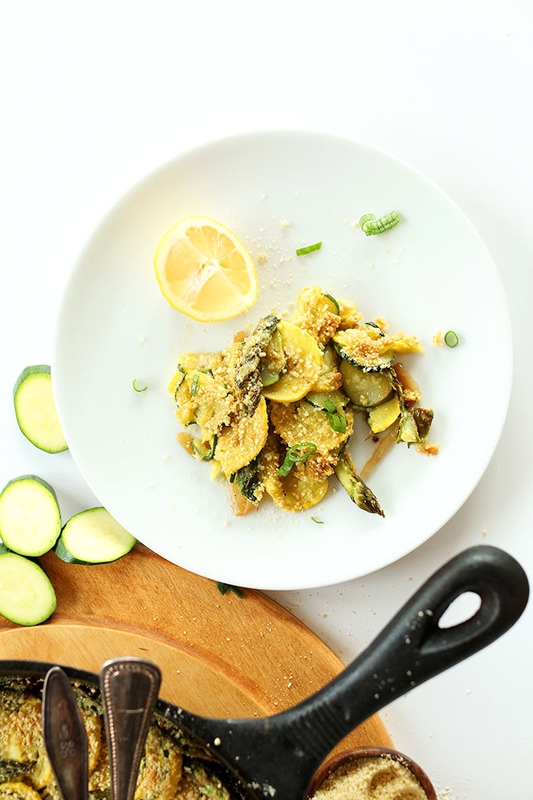 Squash has always been my very favorite summer vegetable, but my fave way to cook it was fried. This may be my new go-to recipe to replace that. I’m in love – thank you! Just made a Vegan Pizza using this cheese recipe. It was the bomb! Can’t wait to try it in this recipe. Thanks a million! This came out incredible and I don’t really like squash! I replaced the asparagus (which is very expensive where I live) with large mushrooms. I just washed, sliced and placed them in the same circular fashion. Not as colorful, but it was still a very impressive dish. I will forever be thankful to you for the vegan Parmesan recipe. I can’t believe how easy it is to make and so delicious on everything! Made this today. It was delicious and Thanksgiving worthy! I also used the parmesan to top a vegan mac n’ cheese : just perfect!!! I just made this dish on Saturday. I am transitioning to a whole food plant based diet. 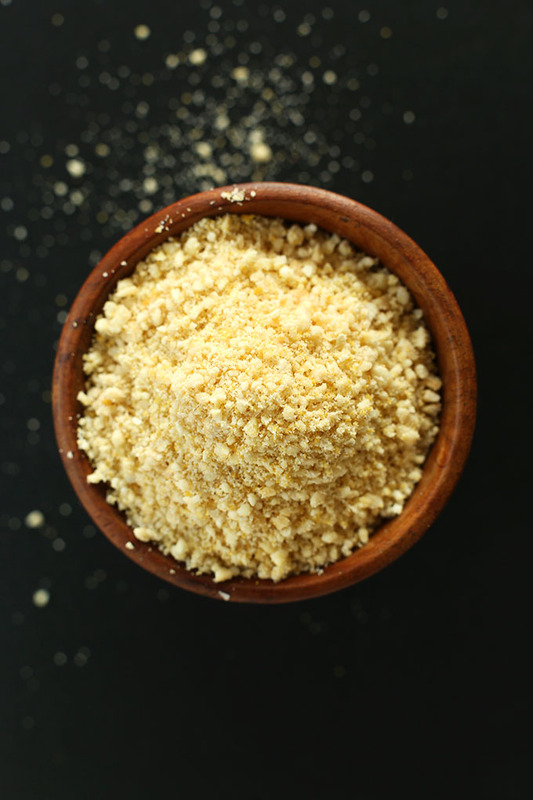 I had never heard of nutritional yeast before I read this recipe let alone vegan parmesan. My favorite part of the dish is the combination of the caramelized onions on the bottom with the squash. It was a little “hello there” to my taste buds. So delicious! So wonderful! Best of luck on your transition! 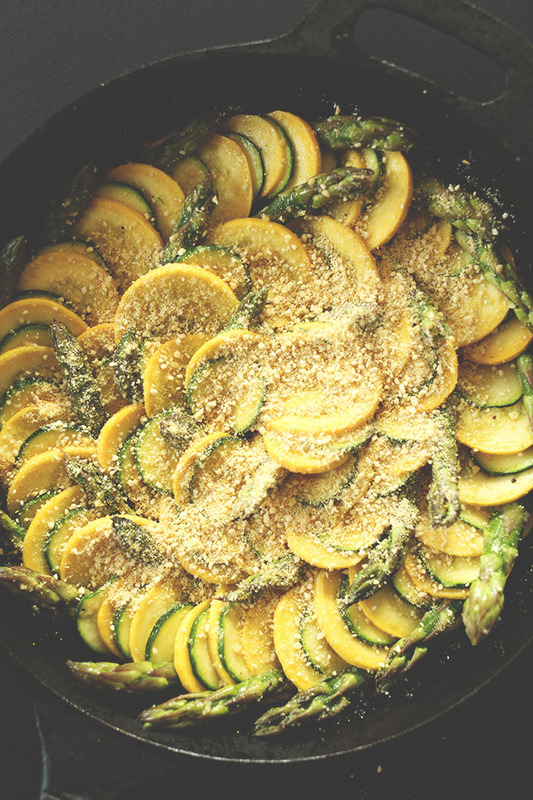 Just made this with zucchini and asparagus, so good! Had to remind myself to breathe between shoveling it into my mouth good. Looking forward to leftovers! Really enjoyed this dish from Minimalist Baker w/ the onions and zucchini but had to omit the asparagus, as had none on hand. I have some eggplant & peppers. Can they be substituted for the asparagus next go around? This dish turned out exactly as advertised: light, satisfying, cheesy, chewy. I used the full parmesan recipe. It was so easy to make, and I’ve noted it for future dinners. Thank you! Wonderful! Thanks for sharing, Leah! 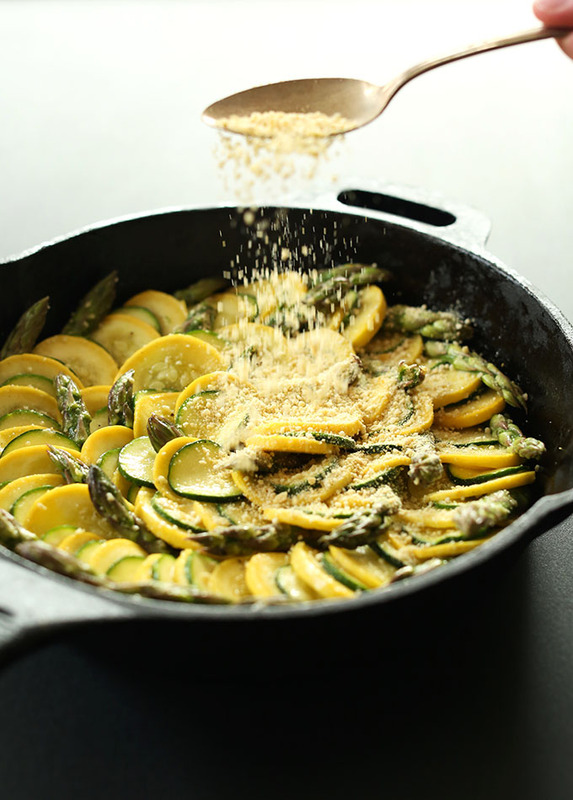 Summer squash with vegan parmisan was sooooo good and amazingly tasty, I couldn’t stop raving about it. As a new vegan this was the nearest thing to cheese I have tasted….who needs cheese. I am going to try this!! I am lactose intolerant.. love chesse but not the effects.. :) I can see how the nutritional yeast would bring the flavor with the garlic and the cashews for consistancy.. brilliant! Just made this with an assortment of summer squash from my CSA. SO DELICIOUS. An incredible amount of flavor. Just made this from pinterest but didnt have asparagus. Its sooo tasty, but the onions are black and some are too hard to eat. I think next time ill just put them in raw, or saute them for 5 minutes instead of 10. Thanks! Also going to use the rest of the parmesan in my avocado pesto pasta sauce! never leaving… except to go buy food and make these amazing dishes! So easy, and must be soooo delicious! 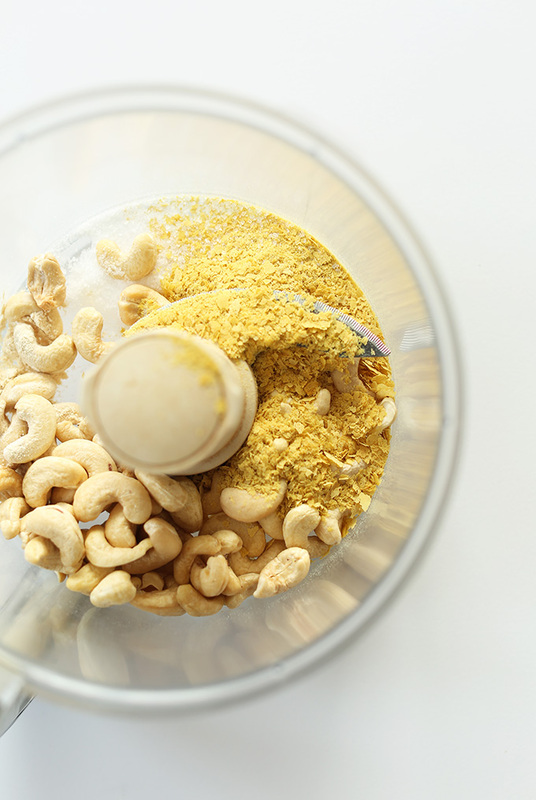 I love nutritional yeast and I love cashews. It’s a perfect combination and I am definitely making this vegan parmesan. Thanks for sharing the recipe, Dana. alright, alright, aaaaalright! After reading all those raving comments I will make vegan parmesan this afternoon. Hi, gotta question, I’m going to try the meatballs today and wanted to make the vegan Parmesan to go with them. I looked at the recipe and I believe the original recipe is with 3 ingredients. You say in the description 4 ingredients my question…is there a secret ingredient to make it even better? I’ve made vegan parm with almonds instead of cashews and it is also an amazing sub for cheese. Just a little garlic powder! Uh….YUM! I was in a hurry tonight and cheated a little. I did everything the same, but on half I added regular Parmesan for my husband and on the other half vegan Parmesan from the store for me. I will try the entire recipe another time, but may I say it was wonderful! This cooking method brought out all the flavors. I used half yellow squash/half zucchini. This will be a go-to recipe for me all next summer! I really have missed my unhealthy-indulgent saltine cracker, butter and cheddar cheese recipe from the old days and this is even better! Thank you! Question, any suggestions/recipe ideas for the remaining part of the asparagus? Thanks again Dana for a terrific recipe. WOW this recipe has become my FAVORITE vegan recipe that I’ve ever had and I’ve been vegan for a little over a year now. I make this about once a week and it is so delicious. Ever since becoming vegan I pretty much gave up cheese as I never found the fake cheese to be as good (and it’s so expensive!) but this reignited my love for cheese and was just the perfect flavor. This is the first comment I have ever left any blog – but I needed to voice how amazing this dish is. Thank you Thank you! I have tried and loved so many of your recipes. You never let me down! Ah, thanks Mary! That means so much. I literally carry vegan parmesan in my purse with me because I love putting it on everything! Thanks for sharing. Cheers! I’m still looking for the fourth ingredient. You mentioned there were four ingredients. Only find nutritional yeast, cashews and salt. That is 3. Just when I thought being a half-assed vegan was boring, I discovered your site and your vegan parmesan cheese! I loved the cheese and this squash recipe and will be making it often and making extra for lunches. I like my veggies on the crunchy side so the next time I think I’ll cut down the baking time a bit. The most difficult part was making it look pretty, so in the future I’m just going to mix it all up and toss it into a baking pan, along with more asparagus. Thanks for sharing Sue! So glad you enjoyed this recipe. I have started putting vegan parmesan on EVERYTHING! I think I made a double batch and it’s gone in less than a few weeks! Thank you so much for the parmesan recipe, it’s fantastic. I can’t believe I’ve done without it until now! I didn’t have cashews in the house so I used almond meal instead, but it still tastes great. I’ll have to try it with cashews next time. It’s been fixed! Thanks for pointing that out, Deanna. Simple and divine…I love the ‘cheese’ as well! I just made this today and it was so, so delicious! 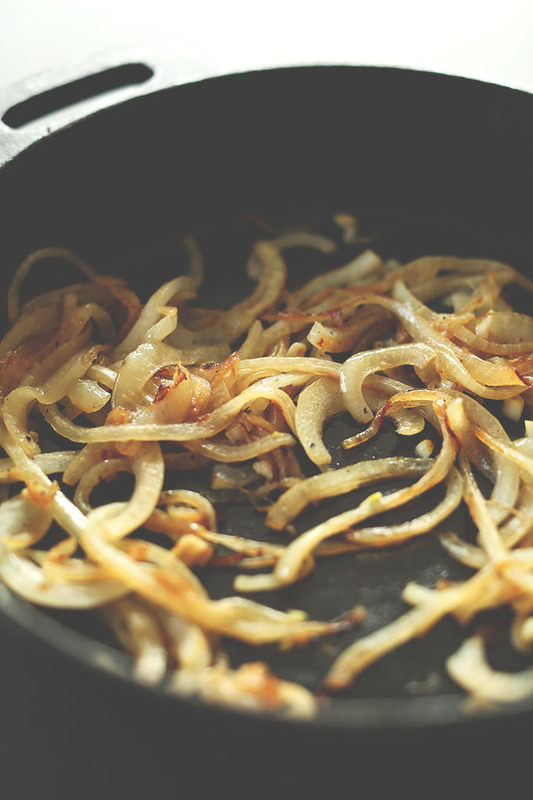 The parmesan substitute is wonderful, and I think my favorite part of the whole dish is the onions, especially when they are all coated with parmesan. Thank you for the great recipe! This looks amazing! But then, all of your dishes do! Would the vegan Parm turn out okay with roasted cashews? Or are raw cashews preferable ? I made this today for my hubby’s birthday party and EVERYONE loved it!! Even the guys who love their “meat & potatoes” raced about it. :-D. The only thing I did different with my vegan parmesan was I add almond meal because I could not find raw cashew near our town. It still turned delicious and I am excited about using this seasoning on it other pasta salad dishes. :-D. Well done, another big hit! This is arguably one of the best dishes I’ve ever made! I halved the recipe because I was cooking for 2 people, but made the full portion of cheese. Glad I did because that stuff is great! It went on my tofu/spinach scramble this morning! Wonderful!! Oh yay! This makes my heart happy. So glad you enjoyed it, Kim! I made the Zucchini Asparagus dish and I am madly in love with it. Even though it didn’t look quite as good as yours, I will definitely make it again and again!!!! Thank you!!!! Dana, I will be cooking this recipe tonight! I don’t have cashews, can I use another nut? Thank you, I’ll let u know how it goes. Yes! Sub brazil nuts or almonds. Hope that helps! I want to try this one, but I can’t find nutritional yeast over here (I live in Colombia, I’ve asked around and not even the healthy eating stores have it). Do you think I could replace it with brewers yeast? 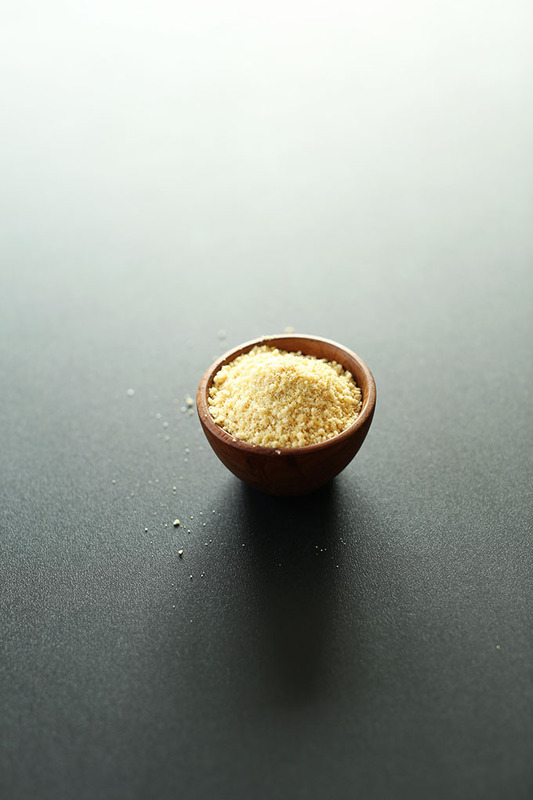 I have always done vegan parmesan as toasted sesame seeds, nutritional yeast and salt… I will have to try it with the cashews. Thanks for the suggestion! Wow, this looks DELICIOUS!! 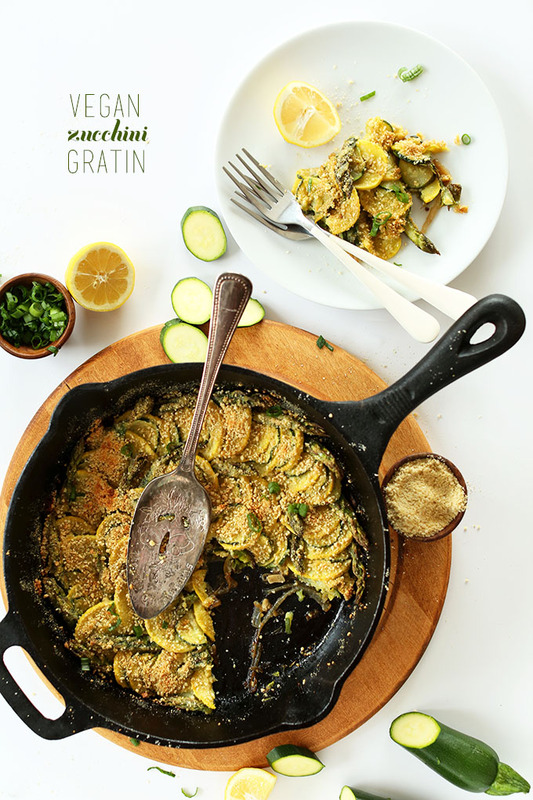 I miss gratin so much, I can’t have wheat or dairy… however this dish looks SUPERB!! Totally making this for dinner next week :) Your recipes inspire me so much!! Oh, I love the twist on a dish that I’ve never been a big fan of either. Think I may need to give this a go, especially as it has two of my fav vegies, zucchini and asparagus. Yum! And you will! It’s fantastic on this recipe and AMAZING on vegan pizza. So good! I’m BLOWN AWAY by this concept. I want this and a fork and some me time (which is ridiculous because I also always want ice cream and me time). 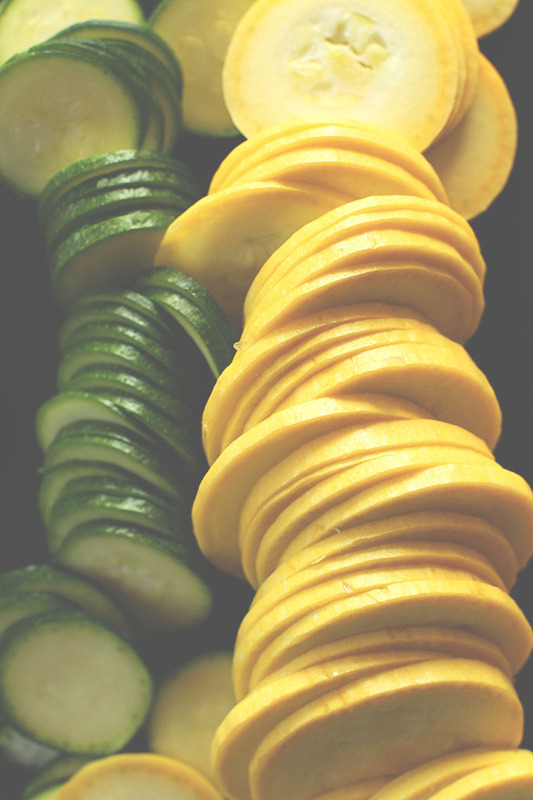 I’m going to try this out with some other veggies too… squash and zukes are not always my go-to. Sweet potatoes! Broccoli! Cauliflower! This recipe is simply awesome. This one will be added to my favorites. A big thank you to the creator of this dish. My husband and I had this for dinner and he loved it as well he had two helpings and he is not vegan but I am. Yay! So glad it could please the whole family. Thanks for sharing, Sunnie! Oh my summer vegetables! I can’t wait! This is Fantastico! I made it tonight, my husband even said it was a keeper, and he’s not vegan. And a Double thanks for the perfect parmesan cheese recipe! ! Yay! So glad you enjoyed it, Allison! Parmesan was like mother’s milk in our house. My dad nearly disowned me when I went vegan – because we could no longer bond over the sacred Sprinkling of the Parm. Maybe I can lure him (partly anyway) over to the Dark Side with a little sneaky vegan version. Do it! I think, in the right settings, it’s completely undetectable. Give it a shot! Wow, it does look like fairy dust gold, and I bet it tastes just as magical. Thanks for the tip! I can’t wait to try this recipe. What a beautiful dish! I haven’t had much luck with vegan parm yet but I haven’t tried it with cashews. I can see how delicious it looks! Katy, give it a go with cashews! The two really do pair well together. You often use cashew instead of gluten and carbs packed flour. And I like the idea. Thank you. This is completely beautiful! I love your homemade parmesan cheese. That’s awesomeness. Nutritional yeast is my jam. I eat probably too much of the stuff, if that’s possible. Todd told me I should try to get distributor pricing on it, haha. Ha! At this rate, I probably need to do the same. I’m putting it on/in everything these days! What a stunning dish. I could eat nutritional yeast by the spoonful, so I’m sure I’d love that vegan parm (hello, popcorn!!!). I can’t wait to make all of this, Dana! Thank you for sharing your beautiful recipes. You would! And it’s phenomenal on popcorn. DO ITTTT. 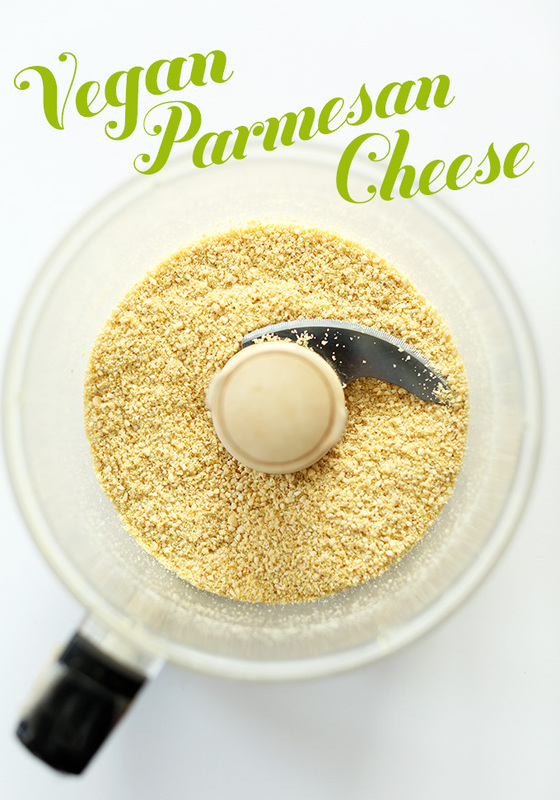 I’m a huge fan of Parmela vegan parmesan (comes in spicy red, pesto and original), but it’s lovely you can make your own parmesan with the flavor you want! Comforting dishes like veggie gratin are gonna be in my stomach soon! Didn’t know there was a brand! Thanks for sharing! I nearly just fell out of my desk chair looking at the photos! YUM! Maybe lowering the temp so it doesn’t burn? Broccoli? Hmmm, I do, but it doesn’t cook as quickly as zucchini does. I would suggest lowering the temp and thinly slicing and even blanching the broccoli beforehand so it doesn’t taste just browned but still raw. Hope that helps! Thanks for the kind words, Trisha! This gratin looks so delicious! Chashew + Nutritional Yeast Parmesan sounds amazing. I love finding (homemade!) cheese alternatives, and this one is definitely going on my “must try” list! Thanks Abbie! Let me know if you give it a go. This looks amazing! I have to try it, too! This is beautiful, and though I am not a vegetarian I am intrigued to try the parmesan! The ease of your recipes are so wonderful, as are your photos. 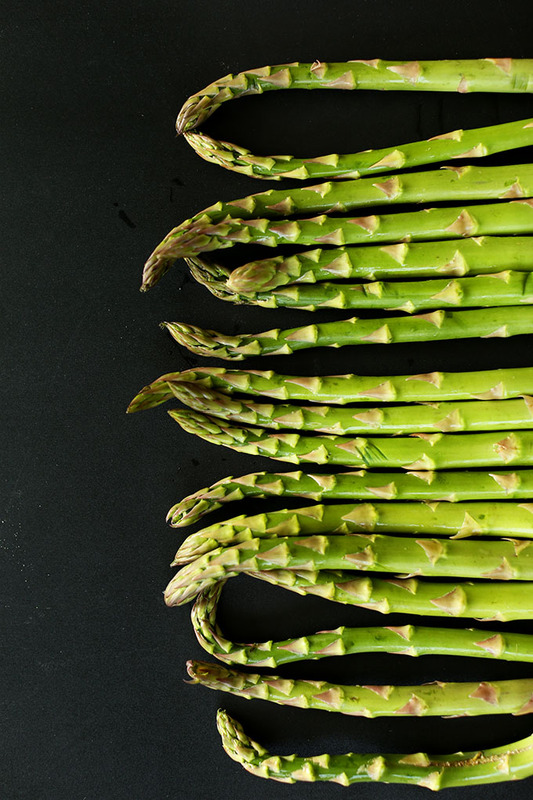 I love the way those asparagus spears are nestled in there. Sigh. Cashews + nooch = the best stuff ever. When I make kale chips, that, as well as some pulverized red peppers, all in a blender, is the best coating. I need to remember to stop before adding those and just do like you did here with the nuts and nooch and use as parm! Right? It’s like magic. Glad we agree, Averie :D Great tip on the kale chips. I haven’t made those in ages but I should! Have you tried to make it with roasted salted cashews? I wonder if it would have too strong of a cashew flavor? We haven’t, but recommend using raw cashews! Add a pinch of Black salt to it and its just like parm. This gratin is totally banging. Love that topping!! 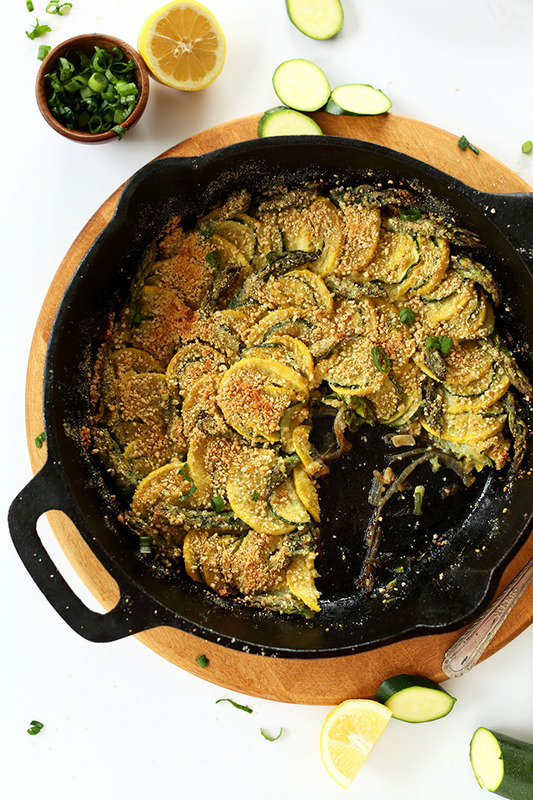 A zucchini gratin without cheese? I’m intrigued! You definitely have me pining for summer with this one.